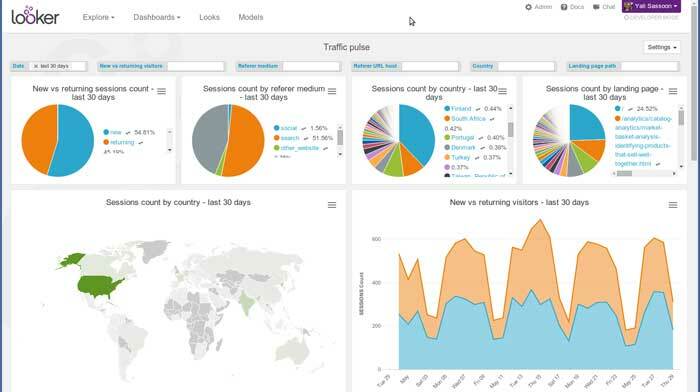 Looker and Tableau have taken almost diametrically opposed approaches to business analytics. Looker has a powerful language at its heart and Tableau relies almost entirely on visual constructs. Both support a rich visual environment, but Looker adds its powerful LookML language, capable of performing complex functions in just a few lines of code. 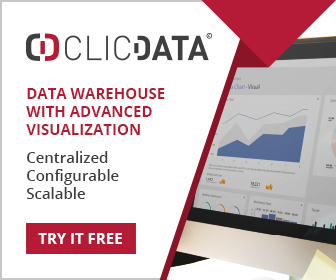 It also directly accesses data instead of pulling it into its own data store, although Tableau has recently made moves in this direction too. The decision to choose Looker or Tableau will depend on need. 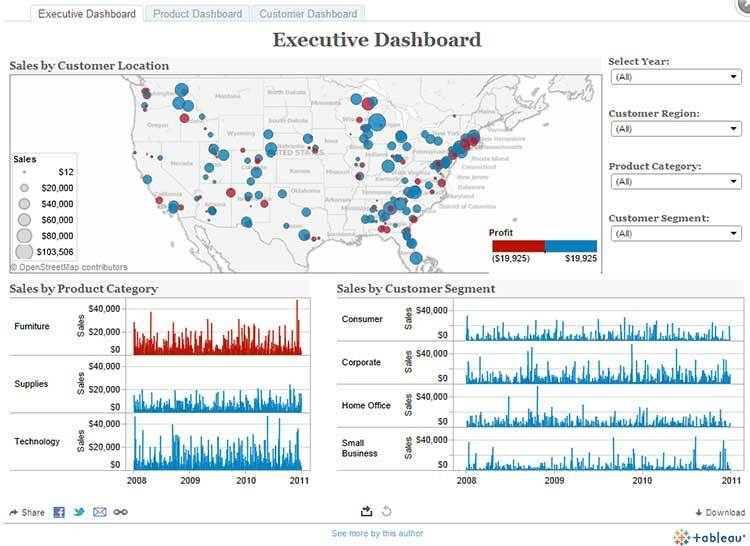 Tableau is relatively easy to use but can run out of steam for more complex needs. The decision to not include some form of language is a flaw in my opinion. Looker on the other hand can have its functionality extended via LookML, and the language serves the double function of also allowing a powerful semantic layer to be set up, where complex functions can be accessed as easily as routine measures and dimensions. Several crowd based review sites (G2 Crowd for example) have recently scored Looker very highly, and it reinforces our view that some form of language will always be an essential component in business intelligence. It serves to address the highly bespoke needs most businesses have, makes complex data manipulation routine and serves to standardize the analytical environment. Tableau is lacking in this respect, and users need to be sure that their needs will not move outside certain bounds if they decide to choose Tableau. At the heart of Looker is its modeling language, LookML. It is no exaggeration to say that LookML can often perform a task in just a few lines of code that might require hundreds of lines of SQL. This language facilitates a ‘just-in-time’ approach to data processing, where transformations and calculations are calculated when needed (officially called a late-binding model). This obviates the need to perform many ETL type operations and formatting of data. A data extract API provides direct access to data sources, allowing data to be pre-processed before being used by Tableau. It also facilitates the creation of data extracts, which are used directly by Tableau visualizations.